Negotiation skills take time and practice so don’t be shy to haggle because you won’t become the master communicator you need to get the discounts you deserve. It may sound deceiving when you use influence to get what you want but if you use the right negotiation skills it’s a win-win for both parties. Often when we go grocery shopping there is a product we find that we are able to get reduced in price. If you saw a box of cereal where the box was crushed you’d likely just leave it on the shelf and find one that is not damaged. Right? Not us! Throughout the day and night there is a stock person who goes around the store to stock and find products that are damaged or close to expiry and they typically reduce the price. They don’t always find every product so it’s up to you, the consumer to make sure you negotiate the price you want to buy that product. Besides, whenever you want to buy something you should inspect it for freshness, quality and expiry if the product is required to have one. This is the only way you will find out if you have ammunition to grab a deal. So, you leave the cereal and we swoop in for the savings. You have to always be ahead of the negotiation process which means you have to know what you are talking about PLUS you must have alternative reasons why you should get a deal. I like to call this ‘power negotiating‘ because you aren’t sweating you’re waiting for their answer. Think outside the box, if you can do that but in time it will come easy to you. Why should you negotiate at the grocery store anyways? 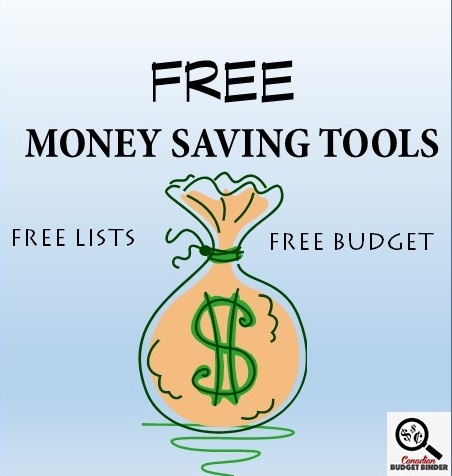 Well, there is money to be saved and if you are on a tight grocery budget like most people the savings can add up to big dollars at the end of the year. Mrs. CBB and I would first take that box of cereal provided it was on sale and a kind we like to a cashier. Once we get the cashiers attention we simply ask if it would be possible to reduce the price of the produce due to the damage. Make sure you are pointing to the damage and looking the cashier in the eyes when you talk to him/her. He/She needs to know that you really want this product and besides they likely will reduce the price anyways or throw it out. Since we can’t go dumpster diving in Canada (I wouldn’t) some people would be upset to see good food tossed in the bin for nothing. Sometimes it goes to feed animals as well but not likely cereal. You could certainly use that as part of your argument if he/she were to say no but if there is a refusal of your negotiation you move on to set 2 in the negotiation process. You ask for a manager. I know it may seem petty at this point having to take a manager away from their busy schedule but don’t worry, it’s their job. They have the title manager to solve problems with-in the grocery store and this I’m afraid, is a problem that needs higher-up assistance. Not all cashiers have the power to get involved with negotiations so don’t be alarmed if he/she declines to help you. I’m sure the cashier will be polite and let you know this isn’t territory he/she is able to have final say on. Before you speak to the manager make sure you have your negotiation ready in your head. Know exactly what you will say. Make sure to talk to the manager by looking at him/her, point out the problem, ask if he/she will reduce the price by x amount and that you would be willing to take it if he/she does. We did this once with some vanilla packets we found at Zehrs. My wife knew they were expensive but they were in a section marked off strictly for reduced products with pink stickers (50% off). My wife took the vanilla to customer service who wouldn’t reduce the price. My wife always asks for a manager or has even went as far as head office if she has to depending on how she is treated. There are always rude customers but we’ve also experienced rude employees. When the manager asked her what she wanted she explained to him that the vanilla packets were not scanning via the in-store scanner and they were on the reduced rack. He keyed in the UPC code and it came up with “not in the system” which apparently means they are getting rid of them. He asked her what she wanted to pay for the box of vanilla and she said $3.00. They retail for about $0.99 for each little sachet of vanilla powder. There had to have been 100 little sachets in the box. The manager was willing to take part in the negotiations and came back with $4.00 and at this point my wife knew that was reasonable because she knows her prices and agreed. The manager was even cracking jokes and making my wife laugh. That was excellent customer service and the ideal situation however they don’t always go this easy. If you are armed with a defective product which may be a dented can, opened package or damaged package always be prepared for rejection of negotiations but remember that there are always different layers of management or service reps.
You don’t have to wait for damaged products, close to expiry either to snag a deal. If you are buying in bulk at the grocery store, speak up. Talk to a manager and see if he/she can give you a better price. Make sure to tell the manager how much you love the grocery store, you are a weekly customer and it’s your go-to store for the best deals. It’s not buttering them up if it’s the truth! If you can get the manager to smile you should have no problems getting a discount even if it is tax-free or a percentage off the price. This is why I always suggest to get to know your grocery store team so they know who you are and when you are ready to get involved with negotiations they already know who you are. Always use their names and smile!! The art of negotiation takes time BUT if you don’t do it you won’t get better at it. Don’t be shy because this happens all the time at the grocery store. If they view you as cheap so be it, you don’t know them on a personal basis so what’s the problem? Even if we did know someone who worked at the grocery store that still wouldn’t stop us from negotiating to get a better price. Another time we found milk that was 2 days away from expiry back when Zellers was open. We asked a sales clerk on the floor if she would be able to mark the produce down and she said no. Once we asked for the grocery manager she came out and checked other products after we informed her there were more close to expiry. She apologized as they typically mark them down but one of her sales associates were ill so it hadn’t been done. When we spoke to a floor clerk we attempted negotiations apparently with the health and beauty stock clerk who worked across the aisles. Be mindful who you are talking to and if they even work in the same department because if they don’t know the first answer will be, no. You may get lucky and the sales clerk or stocker will tell you that it isn’t their department and recommend you to someone else. Never give up but make sure you have valid reasons for wanting a product reduced. The last thing they want is you wasting their time. If there is a tiny dent don’t make a big deal over it. Be reasonable when it comes to defective or damaged items because if it’s small it likely will stay on the shelf to be sold at full-price. Your influencing skills are only as good as you want them to be. Make sure you are approachable and not acting like a total jerk, that won’t help your case. Most times managers have no problems offering a discount. If you don’t get the discount you want you can try negotiating further but if no is no or a final price is final don’t push it. Make your decision to purchase the product based on the final offer price and be done with it. Don’t forget the manager and cashiers will remember who you are so you don’t want to burn your bridges for the next time you come in and find something else. Who’s the best person to negotiate with? Negotiating at the grocery store is probably the best place to start perfecting your negotiating skills so you can move on to other things like negotiating a price on a new or used vehicle, negotiating while on vacation etc. 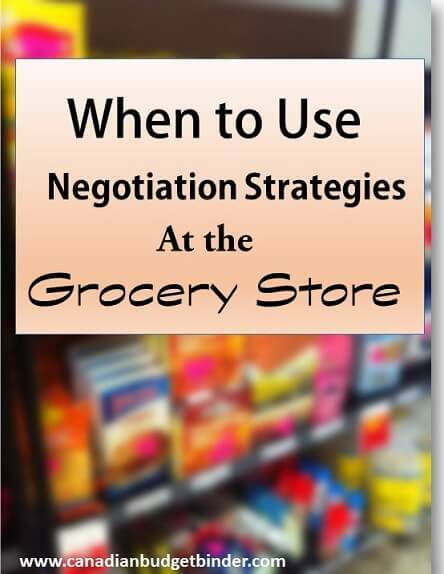 Are you ready to negotiate at the grocery store if you have to? What do you say and how do you prepare for the process to help others who are too nervous to speak up? Weekly Overview (your final thoughts) With my parents on the way I didn’t buy too much as we will go shopping next week. We have lots of meat in the freezer so mostly just vegetables, bread and fruits along with some milk is on the list. Last week we found quite a few coupons so check last weeks GGC post if you missed reading it as I’ve scanned in all the great coupons found in Ontario stores right now. No coupons to report this week. $8.47 blueberry plant – wish I had bought two!! Really splurged on fruit this week and stocked up on a few things. Sorry this post is so late. The flu went through our house 🙁 We discovered that even though red peppers were really cheap at No Frills this week, they weren’t worth it as they tasted like cardboard. Bleh. Thanks! We are feeling much better. Live Clean is an awesome product. We absolutely love it. It just smells so…clean! Haha! We switched to it after our son developed an allergic reaction to Johnson&Johnson products. No more crazy red rash with Live Clean 🙂 And yah, we LOVE our farmers market. Not necessarily the cheapest place to get produce, but definitely the tastiest. Our local farmers market starts this Saturday. Can’t wait! I look forward to seeing how your grocery shops all play out. Beef is so pricey and yes it’s hard to find on sale but if you do grab it while you can. Weekly Overview (your final thoughts) I came in under for another week! I need some good sales in pop and especially meat in the coming weeks. I still have just over $200.00 left for the last week of May but June will be a 5 week month plus strawberries for jam and such. The Certo I got was to make a batch of dandelion jelly from a recipe the younger boy found online and wanted to try. I don’t think I would want to make a lot of it as it is quite labour intensive to get the flowers ready to go. Tastes good mind you. It made 6-250ml jars. He is happy as a clam with it. I have his recipe if you are interested. I’ll email you the recipe for the dandelion jelly. I’m still trying to figure out the new laptop and Windows 8.1. We still have not been able to move my music and photo files from the external hard drive to the new beast. I’ll have to look for those cases of PC powerade and see if the older boy likes it….. Perfect thanks Christine! !We both hate 8.1. Just got an update for Windows 10 now..
We actually paid for some groceries, because our PC deal was we needed to spend $30 (pre-tax) If we also bought $20 on health care needs (can always use toothpaste/toothbrushes/deodorant) we got even more points.We paid $37.21 but received 8400 PC pts. Very happy with that. Used a combination of PC points and gift card to ay for the rest. Overview: 1st week – This week, I blew the budget out of the water. I just couldn’t resist obtaining 7500 PC Points if I spent $75.00 or more. Now I’m back over the 20,000 PC Points and those will get used next week. Otherwise, things are back to normal in my world. The Minute Maid Rice was a slip of the fingers, that’s my story and I’m sticking to it 🙂 I did actually made apple sauce last Sunday. it took about 3 hours and we put 15 lbs of apple sauce into the freezer and ate the rest, which was very good. I don’t have a favourite but do know that I don’t like “delicious” apples. Don’t know where they come up with the names but I don’t think that these apples are delicious. My daughter wants to try and make apple sauce where you peel and core the apples first and then put them thru the food processor. I’ve tried telling her that the flavour of the apple sauce is in the skins when you are pushing the apple mash thru the sieve but we’ll see. I told her that the next batch will be done that way and then we’ll see which way taste better. 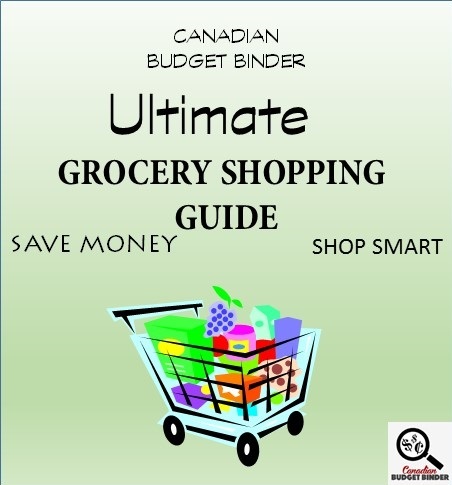 Even though I do have data on my phone, I will incorporate the food that gives me PC Plus Points into my grocery shopping, that way I don’t have to remember what goods give me PC Points nor do I really care because I’ve taken into account what I can afford and need. Haha, sure now I’ve heard it all. Too funny. We don’t mind delicious apples but not for apple sauce. I have to think of the names of some of the funky apples my wife likes. There are so many apple variations in Canada it’s more than I can handle lol. So you don’t peel the apples? I”m not a huge peppermint fan but my wife would love them. What bugs me is when we go shopping at Zehrs the very next day when they send the email to load the new points the products we just bought were on it. It’s frustrating… I should return it all then re-buy it lol. Do you ever find that happens? The PC Points are always done on Friday and sometimes they will do some limited time bonus that expire within a couple of days. I typically don’t do my grocery shopping until Saturday or Sunday so I have my points before I shop. The 1st time I bought apples they were Ida Red and the second ones (and were actually made into apple sauce) where Jona Gold. I’m not sure what will be purchased this week as I am wanting to make some jam or put some fruit/vegetables into the freezer. Lots of price match this week. We needed lots of fresh veggies and fruit to work on staying healthy, my goal is to eat far better than I have been (eating cheaply I have baked too many bread products and have been filling up mostly on that). I wish we could have bought some meat, however, we do have a bit left, we are running very low. We do have the 2 dozen eggs for some protein. Looking forward to having so much fresh produce this week. We are working towards staying on budget. It has been successful so far, but I am still debating whether we can sustain it long-term at this point. My son has hit another growth spurt and it has been somewhat difficult to make sure we have enough healthy food on hand to make sure he gets what he needs. We anticipate that next week we may need to redeem some PC Plus points to get some meat. We have 4 hamburgers left from last week, lots of fish and one and half packs of hot dogs and perhaps something else if I dig a bit deeper. Since hubby isn’t a fan of fish, it makes it interesting. I am hoping lots of veggies done on the BBQ will offset the desire for meat. We have been waiting for our ideal deal on meat to stock up again. It is part of the design of the carryover jar besides PC Plus points. It will show in our final shop for May which is a doozy, but worth it. Long term, food budget is directly related to my struggle of staying on track so we can keep a roof over our head and not be forced to sell, rentals are more expensive than our mortgage unless we pick a very small apartment. It’s tough because we don’t have the additional funds and the house has hit a money pit year. Roof (leaked half the winter) must be replaced, picture window in the living room (rotted out) being replaced, deck (rotted out) and is demolished and will be adjusted to patio, and then you add the car into the equation which needed brakes and apparently a new motor (motor looks like it is still on warranty with deductible) It is so scary, we’ve had tough years before, but this is by far the worst and a true test on our family dynamic. I am trying to stay out of the food bank, but have not ruled it out as an option since hubby’s hours have been cut to 30 a week and I have one more year of school. Most importantly we need to remain healthy and the cheaper junk food needs to not be our main focus. Really can’t wait for the garden this year, even though I have had to reduce the size by half since we have to rip out the deck and I will lose all of the garden beds around it. I have been job searching, but I have to find something that will be accommodating to hubby’s retail hours and not cost an arm and a leg in day care. I know it will work out, but our funds have been depleted, cushion gone. Despite all of the life things that have been happening, we have been handling it reasonably well as a family. My son is seeing the biggest changes. Long story shorter, long term budget of $50 weekly is unrealistic to keep and we need to drop it again. However, I don’t know how to do that and still have food in the house. I’m working on it. As far as my son’s eating, he eats more than I do. He is 9 (10 in July) and is steadily growing. My focus is on making sure he eats well, even if there isn’t much left for me to eat as well. Some of his favourites are cherry/grape tomatoes, pears, grapes, blackberries, raspberries, strawberries, watermelon, celery, any and all fish, lettuce salad, chicken, rice, cheese, crackers, black olives, yogurt, yogurt raisins, pickles, pizza, subs, steamed carrots and hot dogs. However, he will eat most anything we put out for him. He is realizing these days that there isn’t other choices. Or at least many other choices that we used to have. He asks for something and we won’t have it, and of course his heart is set on it. It’s unfortunate, but unavoidable. We try to have other options that will satisfy him, but I know he’s disappointed. I do want him to be more independent about his food choices, but that is difficult because he wants what we don’t have. That is why he gets food choices over me. I would do anything for him. As expected, we needed to do a little shopping on the Canadian side of the border this week. But, rather than face the cross-border line-ups of 4-5 hours each way, this long weekend – we are pushing back our shop to July 5th. We needed a jug of milk and wanted one of chocolate milk – so we redeemed some more Save On Food points for the skim and paid cash for the chocolate. I have adjusted the grocery balances to reflect the points redeemed. We took advantage of an Air Miles event at Safeway and earned ourselves 322 miles in one shop! It’s nice when there are in store bonus miles and printable coupon miles for everything! This also brought us to the 1,000 miles required to remain Gold for the year. Woo hoo! Our spending did take us a little “into the red” this month but I’ll square that away at the beginning of next month by applying the funds that I would normally transfer to our US reserve to covering our overage. Our US reserve is rather hefty at the moment and really doesn’t need another cash infusion before our next shop. OUR NEXT USA SHOP WILL BE July 5th! OUR TOTAL UNUSED RESERVES ARE $1,243.44 … that is a $937.50 carry-forward from 2013 & 2014 and $305.94 in NEW 2015 savings. This also means that with $190.00 to start MAY less $97.50 transferred to the various savings reserves less $0.00 transferred for Points Redeemed = $92.50 less an overage carried forward from APRIL for $0.00 less an additional $32.50 saved in our US grocery reserve, we opened the month of MAY with $60.00 available to spend on the Canadian side of the border PLUS we have spent $107.00 on our groceries (cash & points) so far this month and have an overage of $47.00 to carry forward into the month of JUNE. We have groceries that have been purchased using points redeemed, rather than the budgeted cash in the amount of $45.60. Available as an offset, we currently have $45.60 in our UNUSED CASH RESERVE. As at this moment, we need and additional $0.00 in the UNUSED CASH RESERVE. If our budget is truly sufficient, when we reach December 31st, the unused funds should still be equal to, if not greater than, the value of the points redeemed. It’ll be interesting to see if they actually are. WOW, there’s no way I’d want to travel to the USA if it took that long to cross the border. It would take longer with me as I have to go in and sign paperwork bla bla and pay a fee. Is there a particular brand of chocolate milk that you both fancy? You are amazing with those Air Miles. We hardly ever get them but we have to shop at Metro and it’s too pricey over here. We haven’t been in there for ages. What are mixers? Great shop… you’ll catch it up no problem. You get ballot 15. Ah, Ok I get it now. My wife likes Fresca once in a while but she loves making homemade summer slushies with or without alcohol too! It’s a simple drink if friends come around to have a bevvie on the deck too.